I am not an electrician or something but I totally have no idea how it works. Does adding up amp charges your mobile device faster? How will it affect your battery in the long run? Normal USB charging is something like 5v at 0.5amps, and fast charging is up to 12v at 3amps. If the device is setup for the fast charge, the charge circuit in the device is setup with a battery that can handle the faster charge rate.... unless you're samsung. 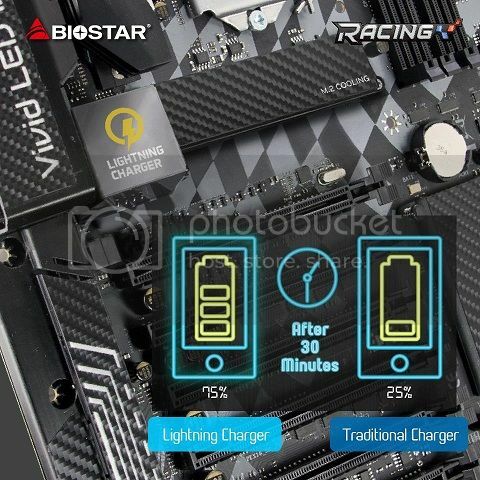 The new 2nd-generation BIOSTAR RACING motherboards will be the first to have the new Lightning Charger which helps the battery of enabled devices, including smartphones or tablets, to achieve up to 75% charge in just 30 minutes. 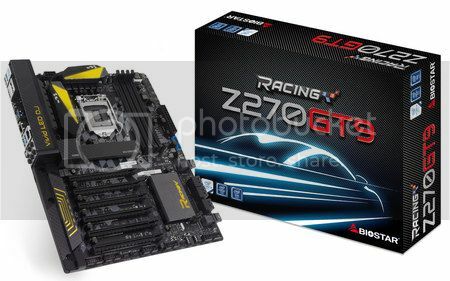 It supports QC2.0 (12V/1.5A output), Apple Mode (5V /2.4A) and BC1.2." Check the model number of your phone. If it supports Qualcomm quick charge 2.0 you are good to go. thank you, sadly i already checked and my phone does not support that feature.